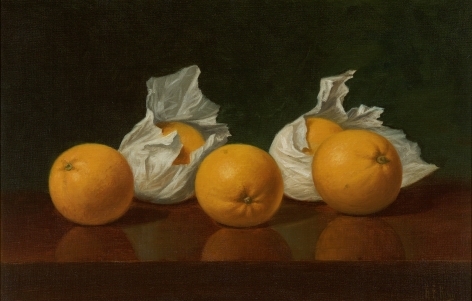 The term “still life” covers a variety of subjects within the art historical tradition. 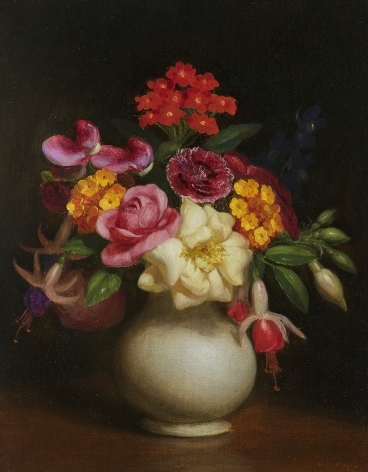 Flowers, fruits and vegetables, dead game and other food items, along with objects such as books and writing implements; baskets, bowls, vases, and other tableware; candles, pipes, or musical instruments, have all been of interest to American artists. 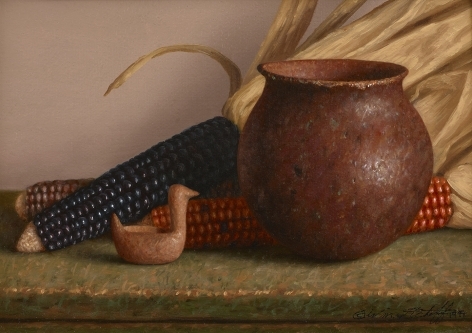 From the Colonial period, John Singleton Copley often included still life objects as accessories in his figurative works, a technique used by Charles Willson Peale as well. 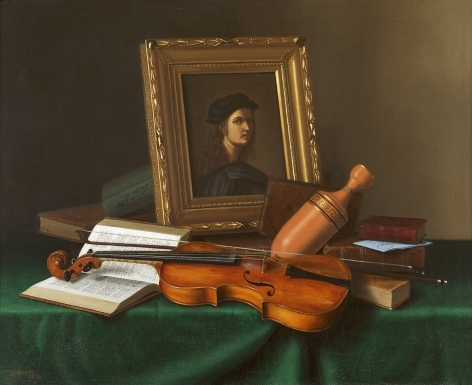 Many members of Peale’s family, most notably Raphaelle, painted purely still lifes throughout their careers. 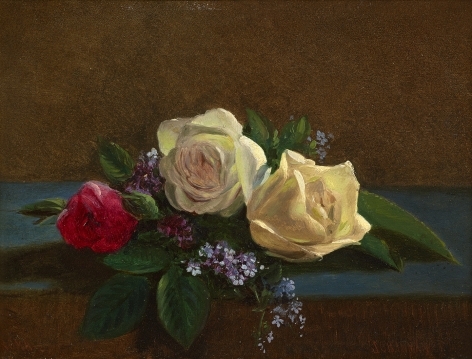 Other 19th-century painters of this genre include John F. Francis, Severin Roesen, Claude Raguet Hirst, and William Mason Brown. 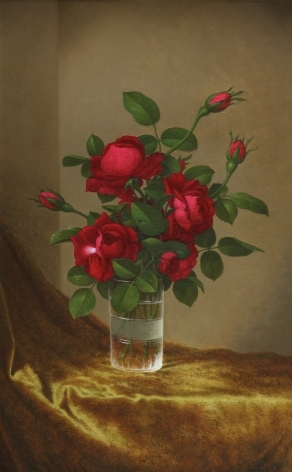 Martin Johnson Heade and George Cochran Lambdin became known for their meticulously detailed flower paintings, while the trompe l’oeil artists William Harnett, John Frederick Peto, and the rarer John Haberle focused upon man-made objects, which seem to project off the canvas. 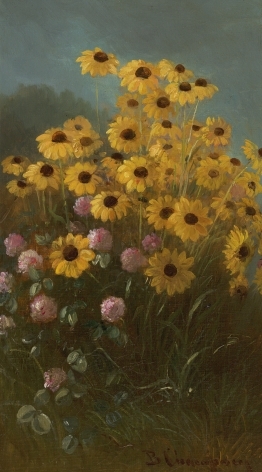 American Impressionist William Merritt Chase painted still lifes throughout his career: some darker in palette and featuring dead fish in the tradition of the Dutch Old Masters; others depicting objects from his studio. 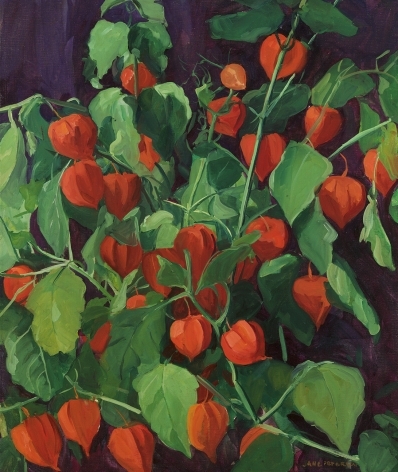 Using both oil and watercolor, John LaFarge continued the tradition of flower painting in the late 19th and early 20th Centuries, while William McCloskey and Joseph Decker focused on fruit. 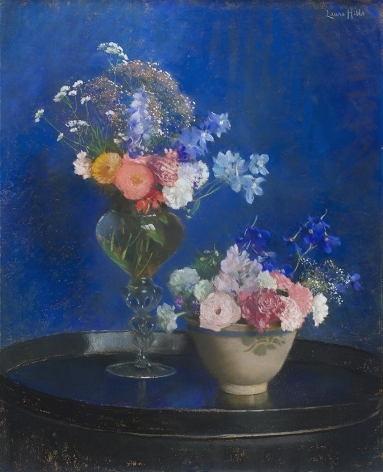 Pre-Raphaelite painters, Henry Roderick Newman and John William Hill painted both subjects, mostly in watercolor; William Glackens, as the primary member of The Eight devoted to still-life painting, did the same in oil. 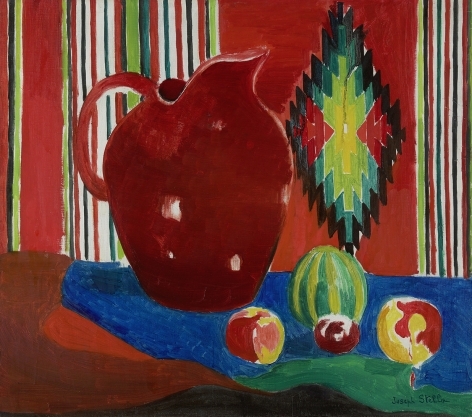 Still lifes can also be found within the oeuvre of Modernists Alfred Maurer, Arthur B. Carles, Marsden Hartley, Joseph Stella, Charles Demuth, Preston Dickinson, and more sparingly, Charles Sheeler. 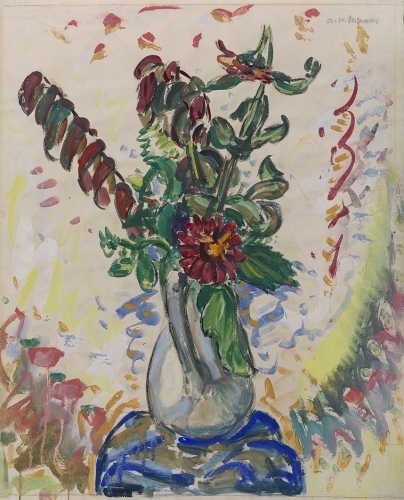 Georgia O’Keeffe’s flowers and Stuart Davis’ Eggbeater series merged traditional still-life elements with Abstraction. 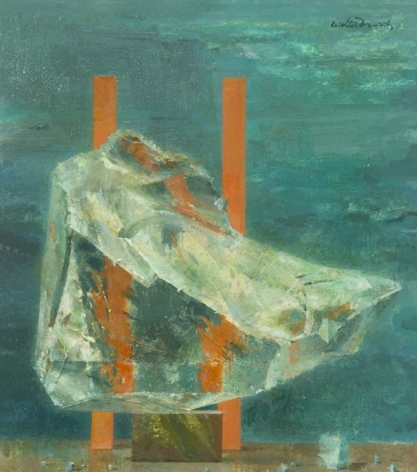 In the mid-20th Century, Walter Murch’s compositions of mechanical and scientific objects and the Pop work of Wayne Thiebaud, Tom Wesselmann, and Andy Warhol continued to push the boundaries of this genre.